Help the Arboretum Grow to Inspire! 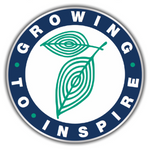 Thank you for your interest in contributing to the Growing to Inspire campaign for improvements to the Overland Park Arboretum & Botanical Gardens. For further information about making a pledge or gift to the campaign, please call 913.322.6367 or email Vicki Lilly.